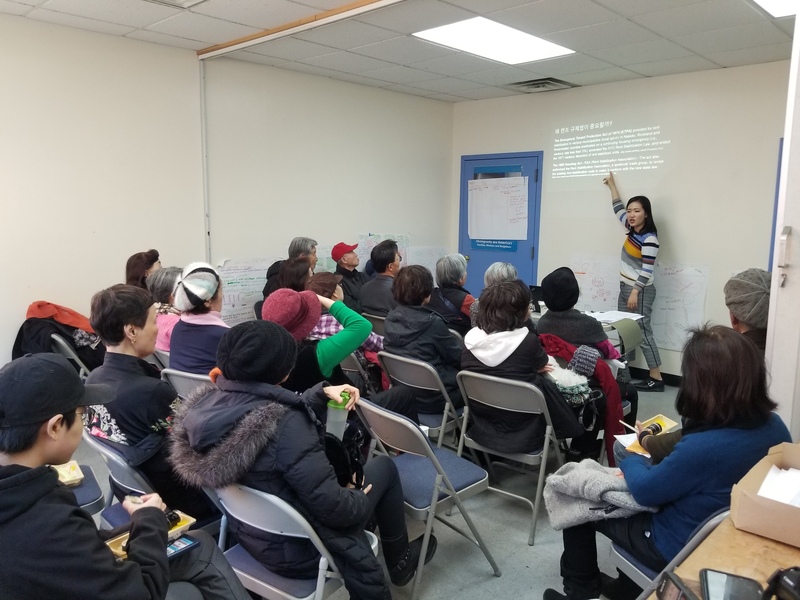 Organizing, educating, and serving low-income Korean and Asian immigrant communities since 1984. 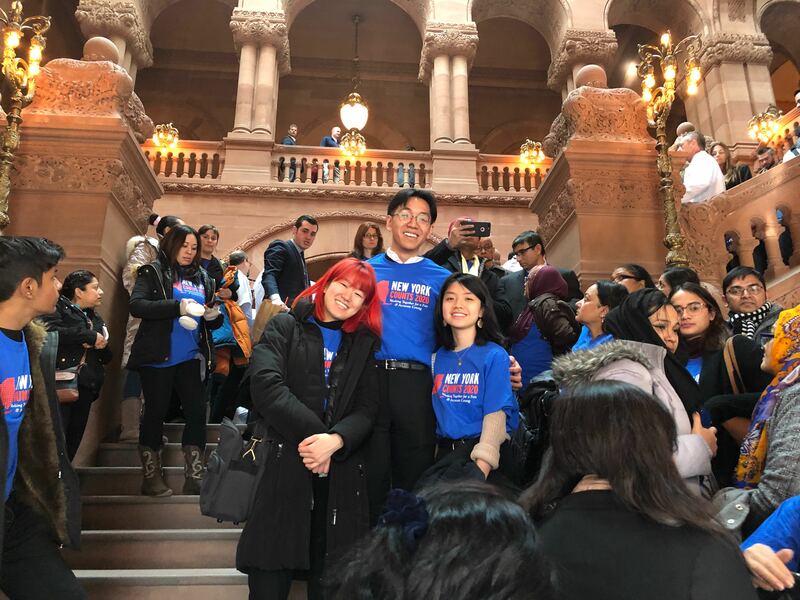 Op-Ed: Give us the Greenlight: Driver’s Licenses for all New Yorkers! 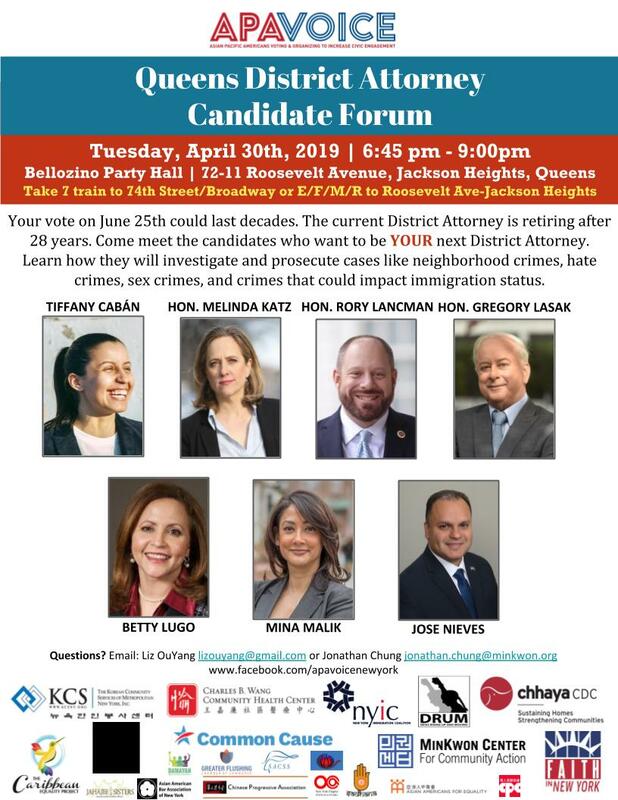 April 30 - Queens District Attorney Candidate Forum! APA VOICE invites the Queens community to participate in a candidate forum for the June 2019 primary elections for the position of Queens District Attorney (DA). Current Queens DA Richard A. Brown is retiring after 28 years, and your vote on June 25 could have impacts on your community for decades. Come meet all 7 registered candidates who want to be YOUR next DA! New Yorkers from across the city will converge at Columbus Circle to RALLY and then we will MARCH together to Trump Tower on 5th Avenue. 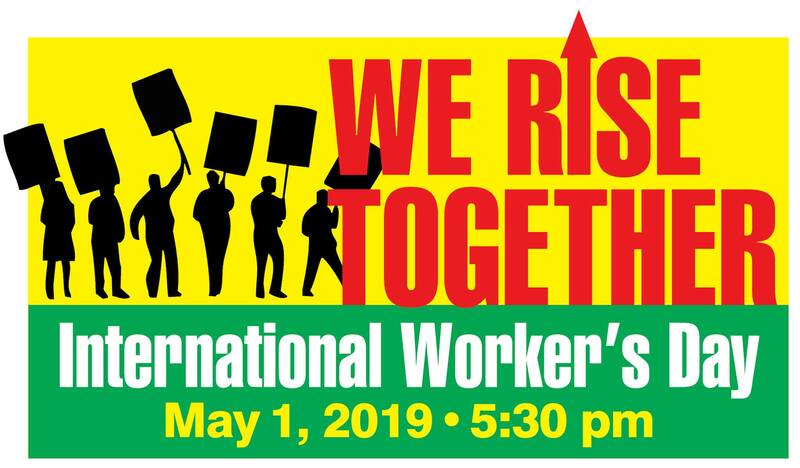 This year’s NYC May Day celebration will be an opportunity for New Yorkers to come together in solidarity and safety. Please join our coalition of labor, immigrant rights, faith, and allied organizations to say in one voice that TOGETHER WE RISE.